Why 2015 Was The Year Of The Period, And We Don't Mean Punctuation : Shots - Health News Is this the year when menstruation went from taboo topic to entrepreneurial opportunity? High-profile moments (including one featuring Donald Trump) may be remaking social attitudes about the period. Tampon or pad? That's all you get when you stroll through the feminine care aisle of any big supermarket chain. But times are a changin'. There's the woman who ran the London marathon without using feminine hygiene products, and the #PeriodsAreNotAnInsult hashtag that erupted after presidential candidate Donald Trump referred to GOP debate moderator Megyn Kelly as having had "blood coming out of her wherever." "For people like me who have been studying menstruation for decades, we've never enjoyed this kind of attention before," says Chris Bobel, associate professor of women's and gender studies at the University of Massachusetts, Boston and president of the Society for Menstrual Cycle Research. "I wrote a book on menstrual activism five years ago that got no attention. But now it is." Is it? Even though Cosmopolitan magazine says it's "the year the period went public," we were skeptical. But social media's been awash with the p-word, and when we checked the number of times the word "menstruation" was mentioned in five national news outlets, it more than tripled from 2010 to 2015, from 47 to 167. 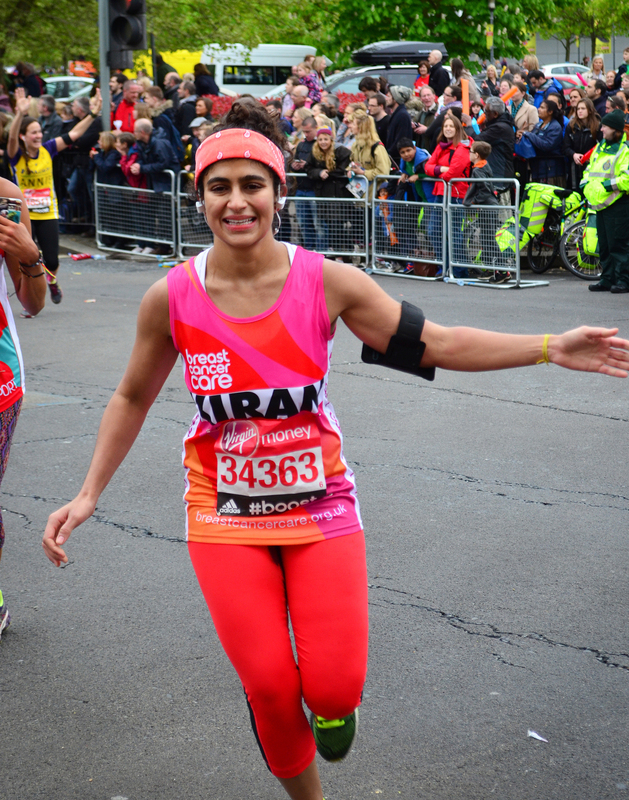 Kiran Gandhi didn't use feminine hygiene products while running the London Marathon, and finished the race with a stain on her leggings — part of her efforts to fight the stigma surrounding menstruation. 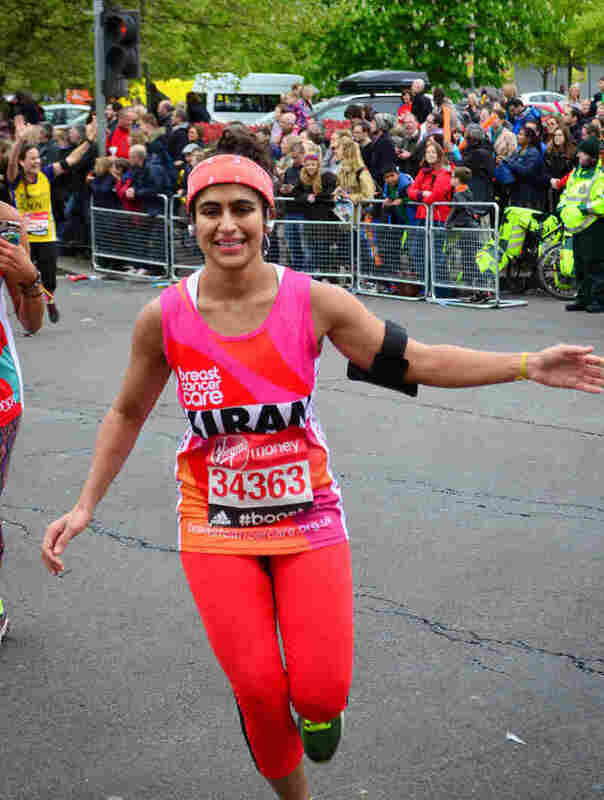 "The fact that we've been able to talk about periods openly is the biggest step in the revolution," says Gandhi, who finished the race with a blot of blood on the crotch of her neon orange leggings. "So many people are weighing in about the problems they currently face with their periods. It makes people empowered to speak about their own bodies." "That was a huge watershed moment for me," says Bobel of the online reaction to Trump's comment after the GOP candidates' debate in August. 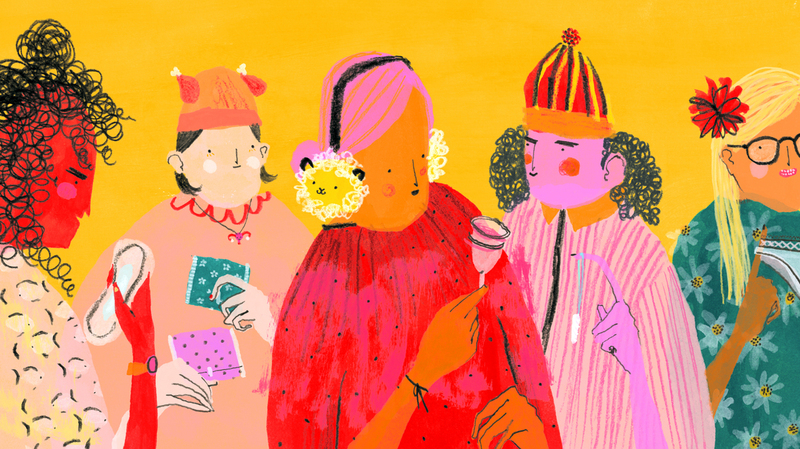 "Women were refusing to take the bait that menstruation is a put-down or a silencer." Indeed, when we looked on Twitter the other day, we found that women are still toying with Trump with statements like: "It's normal and natural. Let's change the conversation. Let's break the taboo." "In America we have a new iPhone every year, but in the past two centuries there have only been three innovations in menstrual care. It's baffling," says Gandhi. "The interest in alternatives is greater than ever before," says Cynthia Pearson, executive director of the National Women's Health Network. "The number of questions we get about it — it seems like there's a new surge in interest. More folks are questioning whether to use tampons or push for getting more info about what's in them." The Food and Drug Administration, which regulates the manufacture of menstrual products, says changes in manufacturing processes intended to reduce dioxin pollution in the environment have made the materials in the products essentially free of dioxin. "FDA's risk assessment indicates that this exposure is many times less than normally present in the body from other environmental sources, so small that any risk of adverse health effects is considered negligible," according to the agency's website. And then there's the question of the cost and environmental impact of using disposables. Women bought $3 billion of disposable sanitary products in 2014, according to the market analysis firm Euromonitor, a cost per woman of about $33 a year. Reusable products could cut into both purchase and disposal costs, and there are growing numbers on the market. In June, CVS started carrying the $40 DivaCup, a reusable menstrual cup made of health care-grade silicone. Sales in dollars and units have been growing in double-digit rates, says Daniela Masaro, brand marketing manager of Diva International, the product's manufacturer. There are also Thinx, underpants that use patented technology that the company says absorbs up to two tampons' worth of liquid while keeping women's clothes dry. New products include a reusable pad made of fleece, a pair of THINX underwear and a DivaCup with carrying case. But supermarket pads and tampons aren't going away anytime soon. The new reusable products haven't solved all the hangups that come with being on your period. Women who have a heavier flow may need to use a backup tampon or pantyliner while wearing Thinx underwear, the company says. Procter and Gamble, the dominant force in the market with its Always and Tampax brands, pays close attention to the features its consumers want, says Laura Dressman, a company spokeswoman. In 2008, the company introduced the Always Infinity pad, a superthin foam pad that absorbs 10 times its weight. That was a big win for activists including Gandhi, who had traveled to P&G's headquarters in Cincinnati to take part in protests demanding disclosure. But for her, the fight won't be over until society conquers the stigma of menstruation. "What I've learned over the past few months is that taboo removes the vocabulary for people to talk about their own bodies," she says. "If you can't talk about the problem, how can you talk about the solution?"